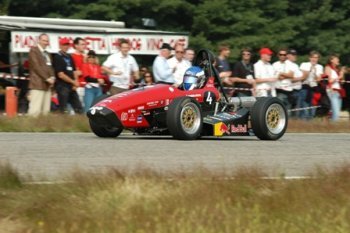 The second edition of Formula ATA will be held from the 7th to the 10th of September 2006, at the Fiat Auto Proving Ground at Balocco (Vercelli). Organized by Italian Automotive Technical Association, it is a sport-technical event dedicated to engineering students to enhance their know how, creativity, team working skill and professional competences. This event is divided into two big competitions addressed to small single seater (Formula SAE Italy) and to ecological two, three or four wheeler vehicles (Formula TECH). Born in 1981 in America and devised from the SAE (Society of Automotive Engineers) the competition later on it has been diffused in England, Australia and Brazil them, raising up a great success among engineering students from all over the world. Every year it moves hundred of teams that face many hard working hours and thousands kilometres to participate to the official competitions. In 2005 the ATA, signed a licence agreement with SAE, to organize Formula SAE Italian event that will be held every year in September. Determined by official rules, Formula SAE allows students to participate with a complete single seater car or with a project. This gives teams the chance not only to confront each other in static and dynamic tests, but also to live a professional like context and, last but not least, to have fun! 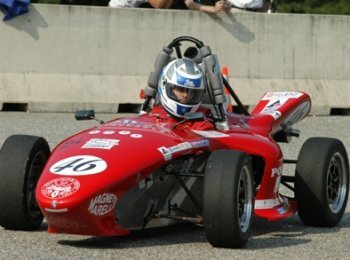 Formula SAE provides two entering class: Class 1 for Team who compete with the complete vehicle and Class 3 for teams competing only with the car project. Since first edition success, in 2006 ATA opened the competition to 25 Team: 20 in Class 1 and 5 in Class 3. Participants will be judged, as in former edition, by a Technical Committee of experts come from the car racing field. Formula TECH, born in 2005, and devised by ATA to emphasize innovations devolved among universities research activities in the sustainable mobility field. Formula TECH's goal is to encourage students and young engineers to participate developing their new ideas and project or innovative prototypes due to reduce environmental impact of two, three or four wheels vehicles. This event enhances not only technical-scientific exchange among participants’ innovative solutions but also gives academic and company worlds an opportunity to meet each other. Today the surface area of the test tracks at the Balocco Proving Grounds exceed 5,000,000 sq.m in total with a combined length 65km of test tracks encompassing a very wide range of road types. Formula TECH's goal is to encourage students and young engineers to participate developing their new ideas and project or innovative prototypes due to reduce environmental impact of two, three or four wheels vehicles. Formula SAE allows students to participate with a complete single seater car or with a project. This gives teams the chance not only to confront each other in static and dynamic tests, but also to live a professional like context and, last but not least, to have fun! The first year (2005) was mainly an exhibition of advanced prototypes of ecological vehicles and room presentations. For the 2006 edition, Formula TECH is providing rules and has admitted 15 foreigners or Italian teams. Participants will be judged by a Technical Committee of experts in the field, coming from CIVES (Commissione Italiana Veicoli Elettrici Stradali), AVERE (European Association for Battery, Hybrid and Fuel Cell Electric Vehicles) and WEVA (World Electric Vehicle Association). Formula TECH is admitting 15 Teams: Class 1: complete vehicles; and Class 2: systems and components, projects. Formula ATA is taking place the during Monza Grand Prix weekend, so the event is expected to attract some Formula 1 personnel to Balocco. Novelty of this year will be the ATA International Conference on “Advanced Chassis Control” focusing on By-wire technology and its application to improve vehicle performance and safety. The coincidence of Formula ATA and the Conference will give exhibitors much more visibility and will grant experts in the field and professionals presence. The Balocco Proving Ground's facilities were established in the 1960s to provide the test tracks for the development of the new Alfa Romeo cars, initially consisting of a 2,000,000 sq.m of road surfaces divided into speedways, special roads and off-road tracks. In 1992, a circuit of 7,650 metres for the high-speed testing of cars, with banked curves of up to 30 percent inclination, was constructed enabling top speeds in excess of 300 km/h, together with a 7.7 km circuit for road trials on trucks. 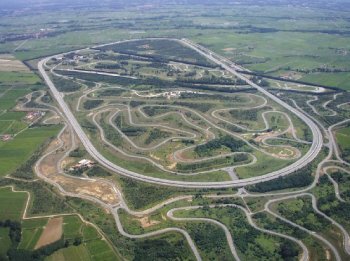 The “Langhe mixed circuit” was built in 1993; 21km in length, the test track includes flat and (with gradients of up to 14 pct) sections and a 3.5km special surface section. In 1999, the facilities were completed with a 2.4 km test track for the ride-comfort testing of vehicles. Today the surface area of the test tracks exceeds 5,000,000 sq.m in total with a combined length 65km of test tracks encompassing a very wide range of road types. the 2006 edition of "Stile Italiano Giovani" was won by Ross McSherry for his design work entitled "Alfa Romeo Villa d'Este"